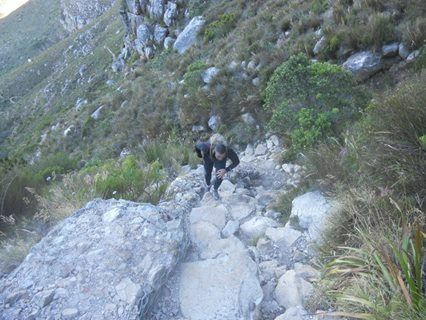 When you feel compelled to conquer the majestic Table Mountain by reaching its summit on foot, contact us to make it possible. 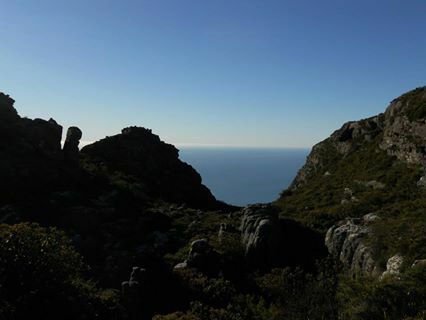 Did you know that there are more plant species on Table Mountain than there are in the entire United Kingdom, and we will encounter fauna in the form of rock hyraxes, colourful lizards and a variety of bird life? 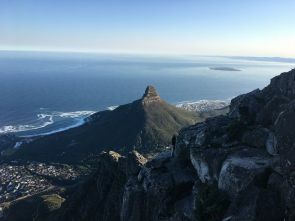 The Table Mountain National Park is a World Heritage Site, and an ecologically sensitive area with plants and animals that occur nowhere else in the world. 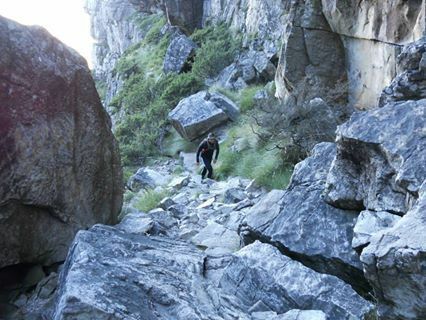 The walk starts on Tafelberg Road and ascends the main gorge that divides the front face of Table Mountain. The path is well constructed with stone steps and anti-erosion gabions and is not difficult to negotiate at any point. 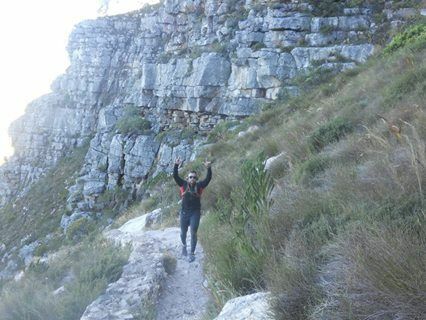 However, it is steep, and the best way to tackle Platteklip is slowly - don’t try to rush it, and frequent stops will give you a chance to look back at the spectacular view of Cape Town, Table Bay, Devil’s Peak and Lion’s Head flanking the mountain on either side. 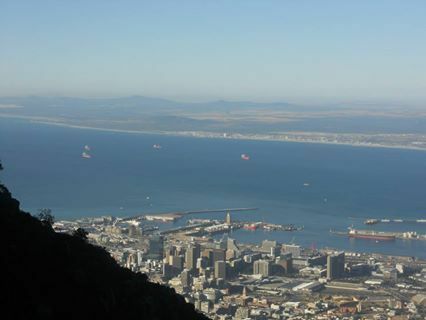 You will also see Robben Island, Signal Hill and the Waterfront, Cape Town stadium, while also admiring the fynbos (the indigenous vegetation) and the awesome rock face of the gorge. 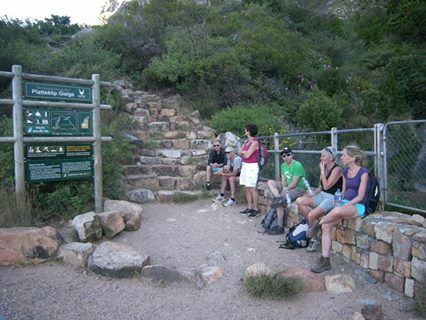 At the top of the gorge a short 10 minute walk takes one to the cableway where plenty of time is allowed to take in the unrivalled panorama in all directions – look down on the City, the beaches of Clifton and Camps Bay, south over the Cape Peninsula, Kommetjie with the Slangkop lighthouse and the majestic Twelve Apostles. There's a restaurant, a café and a curio shop available. 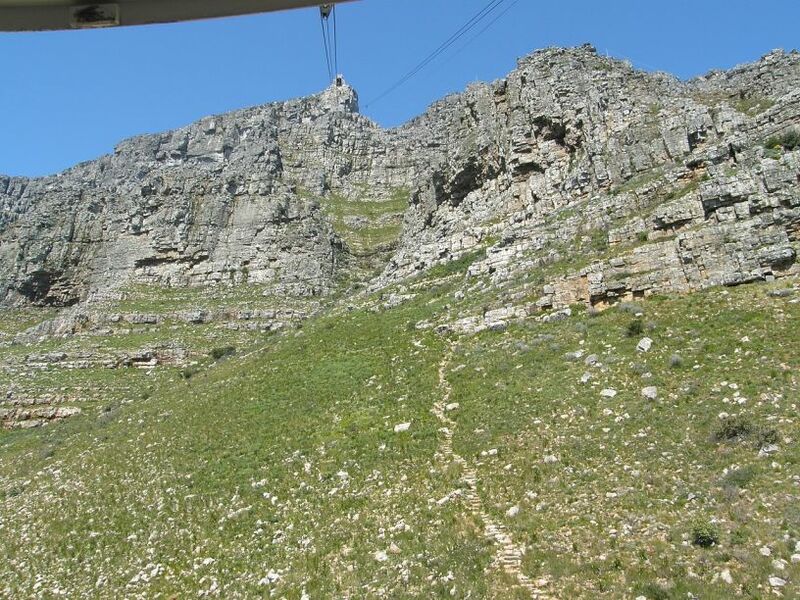 We will take the cable car to get down from Table mountain. Cable Car tickets are available at the summit. Please note that the Cable Car does not operate in inclement weather. Child-Friendly? Older children are welcome. But it is demanding. Pack a light backpack with drinking water. If you prefer, take something to eat. Wear a hat with lots of sunscreen as the route doesn't have much shading. Wear comfortable shoes. Take a light jacket. We hike up and take the Cable Car down.